Club Penguin Cheats by Mimo777 Club Penguin Cheats by Mimo777: Club Penguin Stamp News! Woot! Stamp Collecting sounds like a blast! 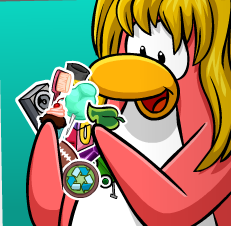 Starting on July 27th, you can earn stamps by doing things with buddies, game skills, doing activities, and even filling up your igloo! We will also be able to show everyone our collection of pins! Saweet! Let me know your fav part of the stamp collecting! I only like the fact it's new. I HATE the fact about "Members Only" stamps. CP is getting to obsessed with members! Favorite part of stamp collecting? Probably collecting them with buddies and stuffies, I mean stuff. I wana get a pizza stamp now. I was gonna tell you about this but i couldn't. It's the only thing that might make me play now and then. i no that this sounds nerdy but doesnt it start on july26? I wanna get a fish stamp. Then we can combine them and create... FISH PIZZA! Herbert would hate that. Hehe. We just have to get 30 penguin to TRY to tip it! I bet the Iceberg is gonna be pretty busy from now on! That would be awesome. So many myths about it! Yea it does! It almost looks like a pizza with extra cheese and toppings with a side of gummy snacks and best of all, a TV remote! Cool. I bet your excited to show them off. Have fun! Yea well, at least there will be some for Non-members too. Im sure you will have fun with them either way. Then im sure it will be a very rare stamp. 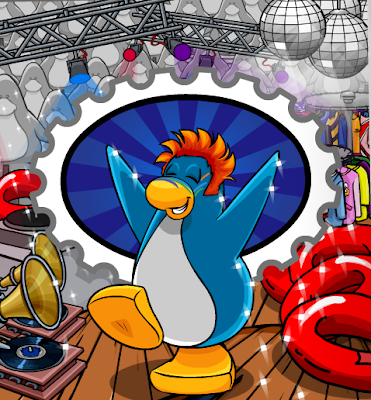 It would be cool getting a stamp for destroying one of Club Penguins awesome rooms! ...Wait... Om... Lemme rethink that. Probably will be. I hope so. I would make sure I get them all. Aw, well come to think of it, Club Penguins 5th Aniversary is coming up in a few months. Club Penguin will be five years old. You'll be able to get another Party Hat then! I thought so but the Club Penguin Times that came out today said the 27th. Weird. Either way it better release a day or two early! The only problem is that it won't be as rare. I thought the big day was July 26th, not 27th!? Cool!!! My birthday is the 27th!! I'll be 13! Darn. Is it members only? If it is, darn it. If it's not, then WOOT! Is the stamp collection only for members? I'm really glad that I have collected almost all of the pins since the day i started CP! Hmm, before they said the 26th but now it's the 27th. Yes, it's only for members. I'm pretty sure it's members nly. It was suppose to but technically they start everything a day early so it will be on the 26th! Guys, us members, we PAY for this stuff, we PAY REAL MONEY to get extra stuff. So it really IS fair. They said july 27th. when they first told us about stamps it was on the 26th! P.s. THey open on my birthday! lol! SO exited! Me too! That will be cool for non-members too because there is no way for them to show how old they are. Since they don't have those "badges" like members do. Know what I mean? Yeah, I hate that too... - even though I'm a member. I wanna get a Mimo Stamp! ;) LOL. Thanks!! This is great to hear that from YOU! They have decided to delay it. Hmmm.. Just one more day, though! We should be patient! ;) LOL. They'll release it one more day later. ;) Be patient! I don't even know how I got it when I joined nothing was explained and I joined in the middle of a party !!!!! !